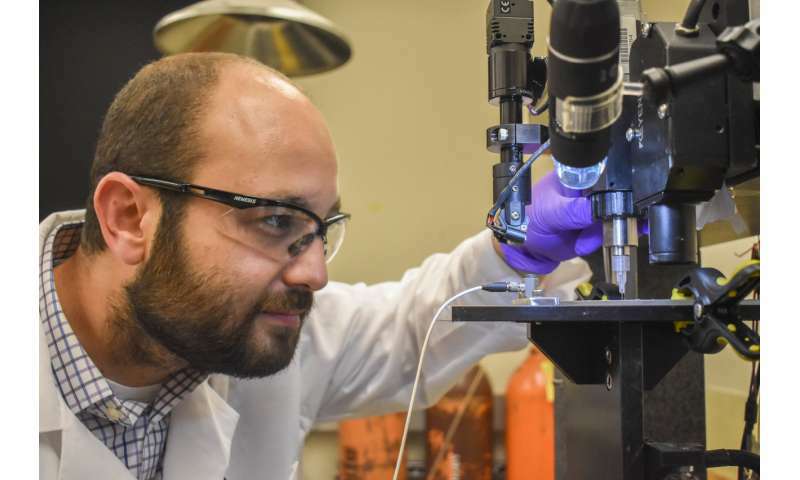 Using 3-D printing, the WSU research team developed a glucose monitor with much better stability and sensitivity than those manufactured through traditional methods. The researchers used a method called direct-ink-writing (DIW), that involves printing "inks" out of nozzles to create intricate and precise designs at tiny scales. The researchers printed out a nanoscale material that is electrically conductive to create flexible electrodes. The WSU team's technique allows a precise application of the material, resulting in a uniform surface and fewer defects, which increases the sensor's sensitivity. 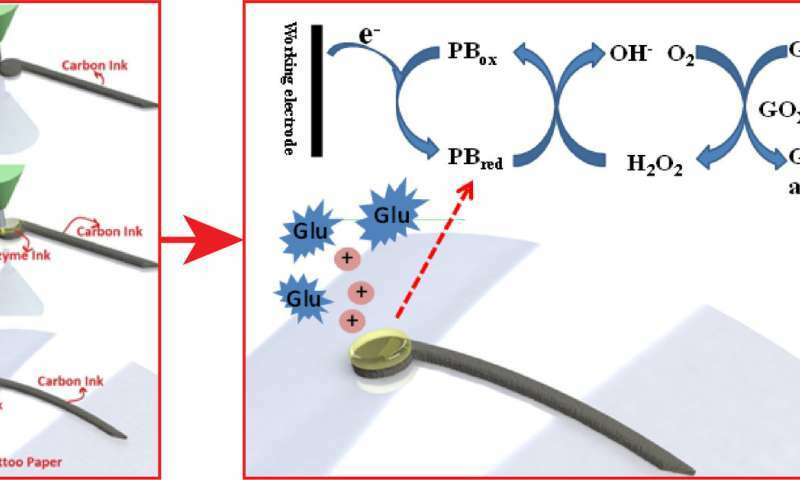 The researchers found that their 3-D-printed sensors did better at picking up glucose signals than the traditionally produced electrodes. Because it uses 3-D printing, their system is also more customizable for the variety of people's biology. "3-D printing can enable manufacturing of biosensors tailored specifically to individual patients" said Gozen. Because the 3-D printing uses only the amount of material needed, there is also less waste in the process than traditional manufacturing methods. For large-scale use, the printed biosensors will need to be integrated with electronic components on a wearable platform. But, manufacturers could use the same 3-D printer nozzles used for printing the sensors to print electronics and other components of a wearable medical device, helping to consolidate manufacturing processes and reduce costs even more, he added.